For many, the World Bank, whose president resigned this month three years before the end of his term, sounds like a liberal institution. It does not, however, seem to be the case as there is practices of racial discrimination. It is evident in the case of Dr. Yonas Biru to Ethiopia, at least. He has served the institutions for a very long time and has been to eight countries. His last position in the organization was Deputy Global Manager of the International Comparison Program (ICP) which he held for seven years, based on letter Former Virginia Attorney General,Hon. Kenneth T. Cuccinelli, wrote to Ethiopian Prime Minister and Ethiopians. Worse, the organization stripped of his professional accomplishments. Yonas is not pursuing the matter to be reinstated in the organization but he wants full redress and he has been on hunger strike since January 2019. Kenneth T. Cuccinelli seem to be optimistic that the acting president of the World Bank, Kristalina Georgieva , is a champion on human rights. He also counts on her integrity. As an American I can say without hesitation that if an American citizen faced injustice in a foreign land, the US government would do everything in its power to ensure justice is rendered and its citizen is returned to the US without delay. We are pleased to learn that Prime Minister (PM) Abiy Ahmed’s government has shown the same level of commitment to protect Ethiopian citizens living abroad. This is evidenced by the Ethiopian Minister of Foreign Affairs request to the US Secretary of State to intervene on behalf of Dr. Yonas Biru who endured unimaginable racial injustice in the World Bank. I was introduced to Dr. Biru’s case through former US Congressman and a founding member of the Freedom Caucus who, in 2018, was one of the conservative US Congressmen who were closely following the case. 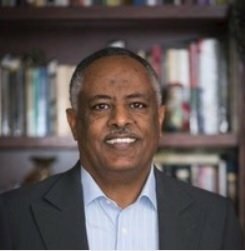 The purpose of this article is to inform PM Ahmed and Ethiopian citizens that Dr. Biru has gone on a hunger strike since January 12, 2019 in protest of his mistreatment. Dr. Biru has lived in the US for 40 years, but he still holds Ethiopian citizenship. It is extremely rare for someone who has lived in the US legally for 40 years without taking American citizenship. This shows the love he has for his country. It is important that his country stands by him. Dr. Biru’s case has triggered a global outcry. It has been covered in over two dozen newspaper articles around the world, including an open letter to the Pope that was authored by an American Civil Rights icon. During the last 7 years of his tenure at the World Bank, Dr. Biru was the Deputy Global Manager of the International Comparison Program (ICP). The ICP is the “largest and most complex” economic comparison program in the world. Apart from managing the ICP in Asia, Latin America, the Middle East and Africa, his duties included overseeing the ICP research work and serving as the Editor of the ICP Quarterly Journal, the only World Bank quarterly that was published in five languages. Dr. Biru has traveled to over 80 countries, acquiring vast global experience and receiving laudable international accolades in the process. The World Bank Peer Review Committee recognized him as a “gifted and talented” Deputy Global Manager and affirmed that he was qualified to be Global Manager. His accomplishments proved too much for a black African in the eyes of his Iranian and Turkish top-brass superiors. At first, two senior executives including the Iranian lied under oath on tape, denying Dr. Biru’s official record. Ultimately, the Bank acknowledged his official record, but refused to honor it, claiming it is too good to be true for a black man. Twenty-six US Senators and Congressmen and women as well as leaders and representatives of over 500 religious organizations called upon President Kim to redress the injustice. Ignoring all calls for justice, President Kim chose to hide behind the Bank’s legal immunity. The problem started when Dr. Biru applied to become the Global Manager of the ICP. As noted in Senator Van Hollen’s report, the World Bank told him “Europeans are not used to seeing a black man in a position of power.” He was advised to withdraw his name from the application pool. Several independent reports, including one prepared by a coalition of 32 conservative organizations, provided documentary evidence to support Dr. Biru’s allegations. The evidence includes a confidential memo that was marked Dr. Biru “will not get a copy or see it.” The memo revealed the culprits were the European Union (EU), Organization for Economic Co-operation and Development (OECD) and International Monetary Fund (IMF). 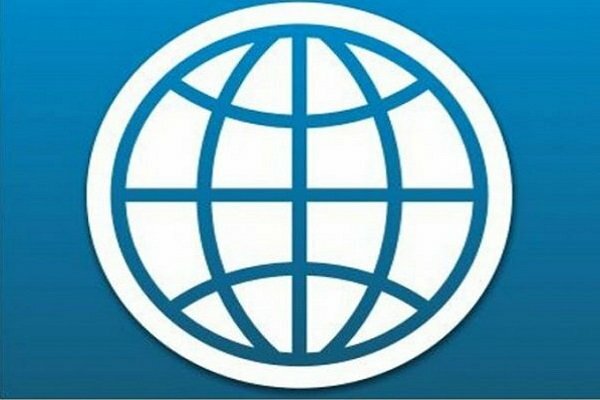 The confidential memo exposed a dehumanizing arrangement that the World Bank and its European and Iranian partners agreed on. The memo disclosed an arrangement whereby Dr. Biru was charged to run the global program behind the scenes, but a white consultant was designated as Global Manager without his managing anything! The arrangement was implemented despite the confidential memo’s acknowledgment that “it is not possible even on an informal basis to designate a consultant as global manager.” The World Bank is on the record, admitting that Dr. Biru was running the day-to-day management of the Global Program and World Bank rules did not allow the consultant to undertake any management or supervisory role. The Bank’s and its European allies concern was with the optics of an African being the head of the ICP. As Documented in Senator Van Hollen’s report, to justify the decision not to designate Dr. Biru as Global Manager, the World Bank retroactively downgraded his personnel record and claimed he lacked relevant experience to be designated Global Manager. Three of the studies produced new methodologies that became gold standards for international economic comparison. One of the studies was undertaken by a Nobel Prize-winning economist. The World Bank retroactively decided it is unfathomable for a black man to have initiated and managed such legacy-setting studies. His Iranian manager with the knowledge of the Turkish HR VP removed Dr. Biru’s name and management role from World Bank electronic publications and credited the work to white managers. When Dr. Biru challenged the racist actions, the World Bank declared him unqualified for any management position and terminated him. Because of the Bank’s immunity from US courts, the only legal recourse Dr. Biru had was to file a complaint first with the World Bank’s Appeals Committee and then with the Administrative Tribunal. The record shows Dr. Biru was denied due process. For example, during the Appeals Committee hearing, the Bank’s lawyer threatened the Committee not to allow Dr. Biru to call international witnesses. The Bank’s lawyer stated on the record that “The General Counsel of OECD is making a special trip” to Washington. They are “very nervous.” They are “being advised of the risk” of being cross-examined. Ultimately, the Committee complied with the threat and rejected Dr. Biru’s right to call international witnesses. In the meantime, as documented in Senator Van Hollen’s report, the Committee concluded “There was no business reason for the actions taken against Dr. Biru” and “strongly” recommended the Bank “immediately enter into a binding mediation.” The Bank rejected the recommendation. As so often happens with international crimes, President Kim’s cover up proved far worse than the original crime. President Kim moved the case to his front office and put his Chief of Staff in charge of it. The General Counsel acknowledged on the record that World Bank Staff Rule 2.01 requires the Bank to correct a false public record and disclose the true and official record to mitigate any real or potential “reputational damage” to the affected staff. However, she insisted that the Bank will not honor Staff Rule 2.01 in Dr. Biru’s case. Dr. Biru filed an appeal with the Tribunal to instruct the Bank to honor Staff Rule 2.01 and correct the public record. His appeal stressed there is no legal or moral ground to seal his “official” record as confidential and keep the proven false and defamatory record in the public domain. As revealed in several independent reports (see here and here), President Kim embargoed the report for a year while his General Counsel filed a motion with the Tribunal to dismiss the appeal, asserting the Tribunal had no jurisdiction to review the merits of the appeal. The Tribunal compliantly dismissed Dr. Biru’s defamation case, without reviewing its merits. Dr. Biru is not asking to be reinstated in the World Bank. Nor is he demanding to relitigate his racial discrimination case. His demand is to redress him for the willful misrepresentation of his credentials and the systematic destruction of the dignity of him personally and professionally. This is a case of a deliberate and systemic destruction of a human being, emotionally, financially and professionally. Dr. Biru deserves full redress without delay. Dr. Biru is the co-author of a proposal to establish an independent Economic Advisory Council for Prime Minister Ahmed. The objective of the proposal is articulated in a compelling article. As noted in the Ethiopian Foreign Affairs Minister’s letter to US Secretary of State Pompeo, Ethiopia needs Dr. Biru to return to his country of birth and contribute to the ongoing change. It will be a travesty of unimaginable proportion if he dies of hunger strike. President Kim has been credibly accused of (1) racial discrimination by his Personal Assistant, an accusation that the World Bank settled by paying her five-year’s worth of salary; (2) an inappropriate relationship with a subordinate woman, exposed by a Senior Advisor to the Dean of the World Bank Board; and (3) charging a World Bank credit card for a tuxedo and using a private plane, and he has resigned. The Interim President, Kristalina Georgieva, is believed to be a woman of integrity and a champion of human rights. This has opened a door for justice for Dr. Biru. Apart from seeking the intervention of the African Union and President Trump, PM Ahmed should demand the Board of Governors of the World Bank intervene to redress Dr. Biru for the despicable racial injustice he suffered. Time is of the extreme essence to save Dr. Biru, a father of three children. Editor’s note : Hon. Kenneth T. Cuccinelli’s letter was published on Addis Insight. 2 Responses to "World Bank:“Europeans are not used to seeing a black man in a position of power”- discrimination against Dr. Yonas Biru"
I don’t know Dr.Yonas Biru, nor ever heard of him. But I know a tiny bit about World Bank. And I know a lot about racism. As one Radio Commentator put it, racism will NEVER go away from us. Colour discrimination is rampant; racial discrimination is everywhere; religious friction is our eternal belief; tribal animosity has no bound. We Africans ourselves are notorious in discrimination based on varied human factors. I AM NOT CONDONING WHAT ARTIFICIALLY CALLED “CIVILZED” WORLD BANK HAS DONE TO DR. YONAS BIRU. What I am saying is this: The World Bank with all its sophistication and pretension is also a depository of junk racists, highly paid, vultures. Period. To attribute it to human race, however, it seems to be in our genes. And it varies from region to region in its intensity — otherwise, basically, it is the same. Take our Rwanda genocide between two indigenous people. That crime will be an eternal example of Africans plunging into the lowest level of indecency. It was sheer savagery, perpetrated by indigenous Africans who are still alive and doing well from that horrendous massacring of Africans by Africans. Take also our entire Africa where indigenous fighting and liquidation is more than the crime perpetrated by colonial forces. Take also the Ph D Holders of Black Africans: their dictatorship towards their own people is much more cruel – or at least parallel to colonial forces. And so, in the insightful saying in the Amharic language >>> ስንተዋወቅ፣ ኣንተናነቅ። Only two words but loaded with wisdom. If we accuse the World Bank of discrimination based on colour and race, it is only a turn of the MIRROR that was facing to our direction for the crime we perpetrated to our own people based on colour, race, religion!!! It is sheer madness. Yes, in simplicity, WE AFRICANS can be cruel to each other. But as the saying goes, we do not seem to have an option but to SMILE and BEAR IT !!! One last point that I wish to inject is about the African Union (originally named Organization of African Unity). The African Union has demonstrated, without a surprise nor a shadow of a doubt, its USELESSNESS in the Arena of World Organizations. It has also proved that it is a good source of employment for Africans so-called modern educated elites with enviable salaries and benefits, for which they fight tooth and nail to keep it as long as they can. As to the ordinary AFRICANS, we leave it to the only – and only – the Good Lord up in Heaven. Footnote: It is interesting to note that Dr. Yonas Biru never applied for the USA Citizenship in his forty years employment in the World Bank. Had he done so, the situation (in all probability) would have been completely different as it would involve a Citizen of the Good Old Mighty USA. “C’est la vie” as the French say. In the last paragraph before the “Footnote” please insert the word “space” following the word “FREE”.